Kohonen maps are often used for visualizing high-dimensional feature vectors in lowdimensional space. This approach is often recommended for supporting the clustering of data. In this paper an alternative approach is proposed which is more in the lines of multivariate statistics and provides a simultaneous visualization and clustering of data. This approach combines projection and embedding methods (such as principal components or multidimensional scaling) with clustering criteria and corresponding optimization algorithms. 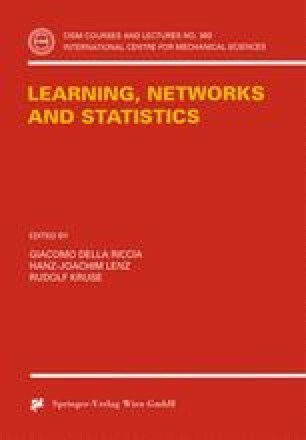 Four distinct methods are proposed: projection pursuit clustering for quantitative data vectors, two MDS clustering methods for dissimilarity data (either with or without a representation of classes) and a group difference scaling method (known from. literature).